ComInTec has developed a complete range of customized spacer couplings, in order to connect in a simple way, by means of appropriately dimensioned transmission couplings, the components of a kinematic chain even when they are positioned away from each other. New bellow spacer coupling in aluminium GSF/DBSE. optimization of the price/performance ratio. Therefore, the need to connect in a simple way, by means of appropriately dimensioned transmission couplings, the components of a kinematic chain even when they are positioned away from each other, without the aid of additional intermediate components is the reason ComInTec has developed the range of customized spacer couplings. 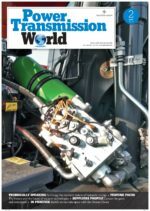 ComInTec, an Italian company with over 45 years of experience in the production of mechanical components, manufacturing a series of couplings designed with a central spacer that connects two components of a transmission, bevel gearboxes, actuators or screw jacks located apart from each other with just a simple and robust product ready to use. This central spacer can be joined by various solutions of flexible elements, with their hubs fixed on the drive shafts, to be selected depending on the type of use, requirement and performance required for the specific application for which the complete mechanism is intended. – new bellow couplings with spacer: GSF/DBSE. connection hub with locking assembly (type G, D, E, F). Backlash free spacer coupling in aluminium GAS/DBSE. This type of personalization makes ComInTec’s spacer couplings particularly versatile. 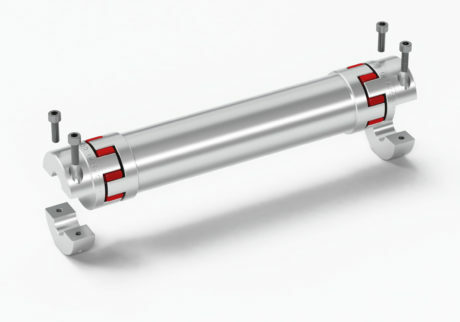 The GAS/SG/DBSE-AL coupling is made of completely finished aluminum in order to reduce weight and inertia, guaranteeing high accuracy of motion and a reduced amount of torsional backlash. The elastomers, essential components of this coupling, are made of polyurethane material available in various hardness levels, depending on technical performance to be delivered and on the inevitable misalignments to be compensated. Among the main fields of application for these couplings we find: packaging machines, servo motor connections, linear guide screw jacks, shipping lines or photovoltaic systems for the movement of solar panels. The GTR/DBSE coupling is completely made of finished steel and the disk packs are produced in stainless steel, in order to obtain a torsionally rigid coupling free from wear and maintenance. To guarantee a long life even under adverse conditions the coupling goes through a standard anti-corrosive galvanizing process. The characteristics and performance of this coupling makes it suitable to be used at high temperatures and high speeds thanks to the possibility to carry out dynamic balancing. Among the main areas of application for this transmission coupling: machines in the textile industry, packaging machinery, lifting systems and printing machines. 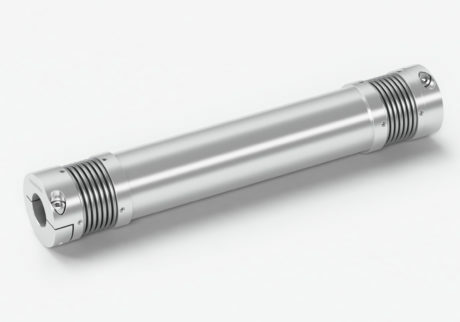 The new GSF/DBSE coupling, recently introduced in the product range with the extension version, is made of aluminum hubs and stainless steel connection bellows, thus obtaining low weights and inertia. The peculiarity of this coupling designed by ComInTec is the absence of glues or other adhesive systems to join the parts, as is the case for most of the manufacturers on the market. ComInTec’s connection is purely mechanical. 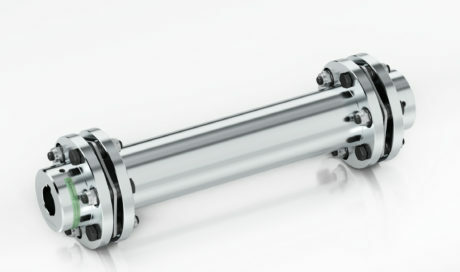 In this way, such a coupling is suitable for use in environments with high temperatures, up to 300°C, still providing a high accuracy in the transmission of motion with the absence of torsional backlash and at the same time the possibility of recovering bigger angular misalignments compared to other spacer couplings. Among the most common field of applications: connection of servo motors and automatic systems for assembly or palletizers. Torsionally rigid spacer coupling GTR/DBSE in galvanized stainless steel. – high speed of rotation, in relation to the produced length. Kindly quote us on urgent basis the following part or equivalent.